The couple tied the knot in private a couple months ago. 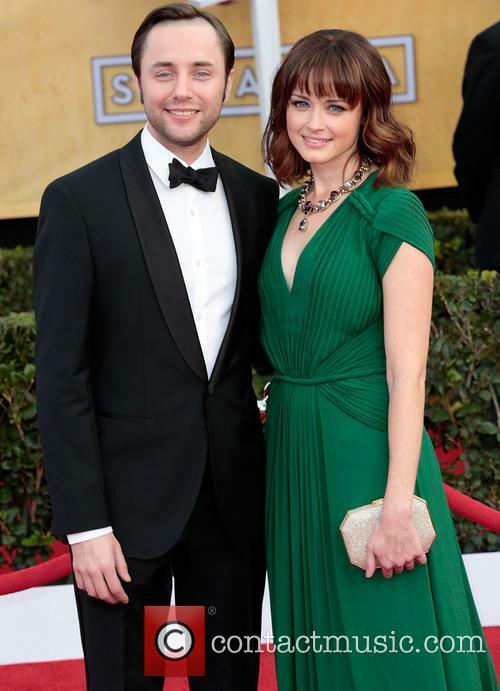 Former Gilmore Girl Alexis Bledel is married to Vincent Kartheiser. The couple snuck the wedding past everyone and actually tied the knot back in June, but the news is just making the rounds two months later. A rep confirmed the announcement for ABC News. 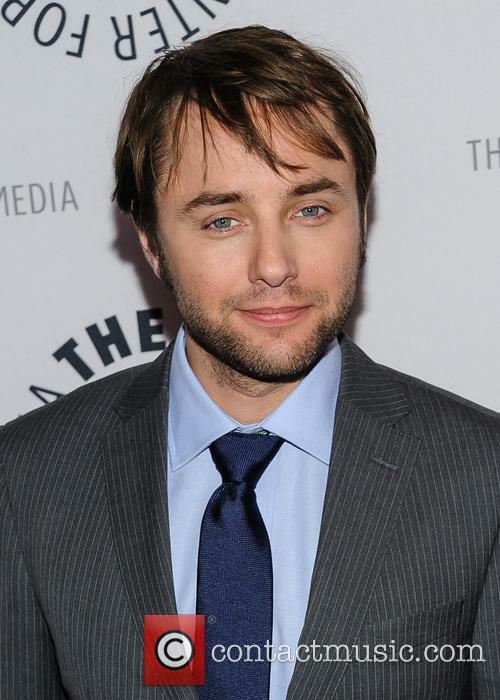 Kartheiser plays Pete Campbell on Mad Men and the pair met on set, when Bledel guest starred on the AMC show. It was fitting too, since Bledel’s character was having an affair with Kartheiser. 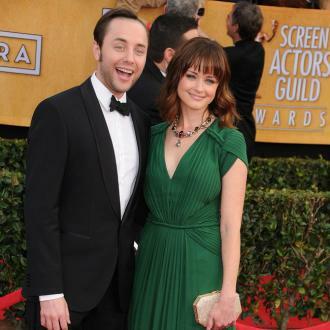 Cute couple alert: Vincent Kartheiser and Alexis Bledel are married. The actor proposed just a year later. 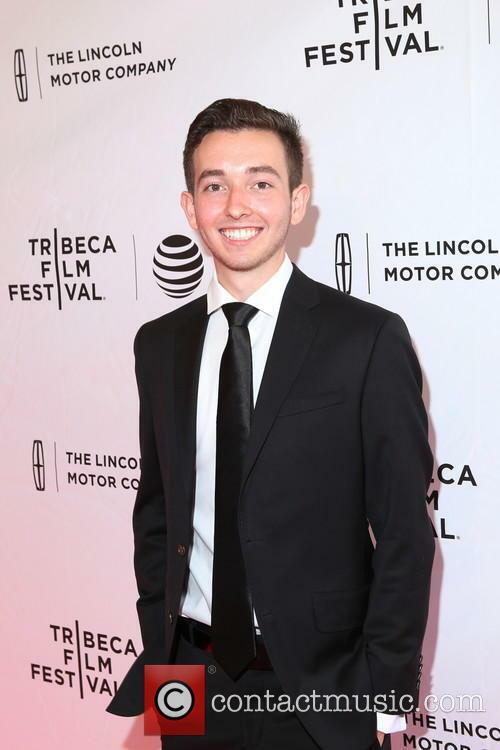 At the time, his co-star Elisabeth Moss told People: “"They are such a yin and yang. I've known Vinny for 12 years and Alexis is just the sweetest. I've never seen Vincent like this. It is really cool." 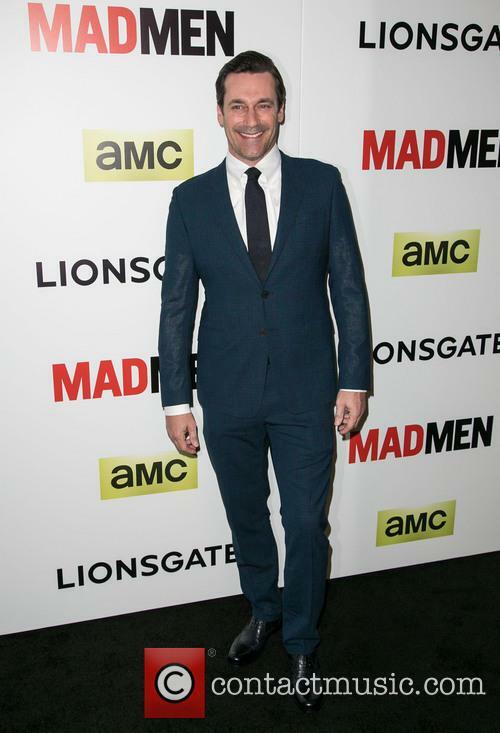 The stars of the hit AMC drama reportedly walked down the aisle last June in a secret Californian ceremony. Even though Vincent Kartheiser and Alexis Bledel's fictional romance on 'Mad Men' ended rather tragically, in real-life their relationship is currently better than ever as it has been revealed the pair secretly tied the knot in June. The acting duo married nearly two months ago in a Californian ceremony, Gossip Cop first reported on Wednesday (Aug 6th), but a rep for the couple has since confirmed the exciting news. Alexis Bledel, who is the favorite to play Anastasia Steele in the Fifty Shades of Grey movie, is set to marry her Mad Men co-star boyfriend Vincent Kartheiser. Alexis Bledel and Vincent Kartheiser, who engaged in a steamy on-screen affair on AMC's Mad Men, are getting married in real life! 31-year-old Bledel and her 33-year-old beau went public with their relationship back in October, looking very much in love, and it appears the couple are ready to take their romance to the next level. A representative for the couple confirmed the engagement news to E! online after Us weekly had dropped the exclusive. A source told the magazine that Vincent - who plays ad executive Peter Campbell in Mad Men - "proposed a few weeks ago," and that the ring is "huge." Bledel played an unhappy housewife in the multi-award winning series, though seduced Kartheiser's character after he begins to do business with her husband. Though Bledel landed the Mad Men role following her stint on Gilmore Girls, bigger things could be on the horizon for the San Francisco native. Bookmakers have her as the big favorite to play the submissive Anastasia Steel in Universal and Focus Films' adaptation of E.L James' controversial novel Fifty Shades of Grey. Shailene Woodley was considered her nearest rival for the part, though took the lead role in Fox's 'The Fault In Our Stars' earlier this week. Emma Watson and Mila Kunis have both talked down the chances of them playing Steele. The movie, which is likely to star either Henry Cavill, Alex Pettyfer or Ryan Gosling as Mr Christian Grey, will go into production this summer. 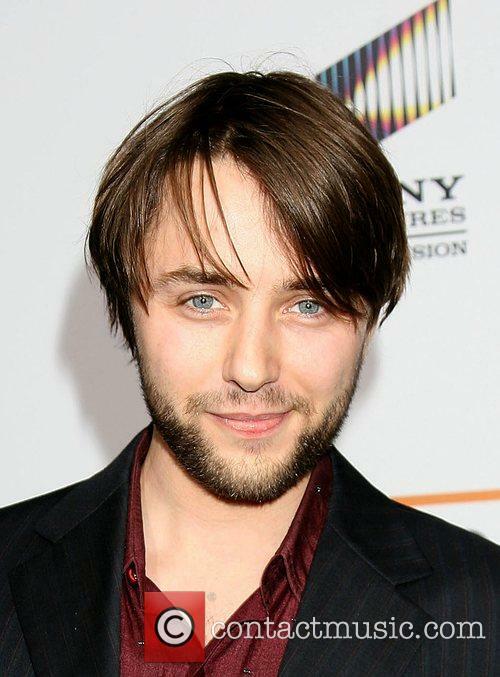 We here at Contactmusic.com wish both Bledel and Kartheiser the best! Their affair in Mad Men might have not ended up amounting to much, but off-screen it looks like things are going strength to strength for co-stars Alexis Bledel and Vincent Kartheiser to the extent where it’s been confirmed that the two actors have been going out for some months and are engaged to be wed! How exciting! The source continued "Vincent proposed a few weeks ago. She's been wearing her ring. It's huge!" Another source meanwhile commented “They are so cute together!” of the soon-to-be married couple. The pair were revealed to be dating last June, by Us Weekly, with Kartheiser having previously been linked to actress Rachael Leigh Cook. Bledel, meanwhile, has dated co-stars before, namely Gilmour Girls Milo Ventimiglia, who she was with for more than three years. It will be the first marriage for both, with another source confirming "They are so cute together!" We’re sure they are. 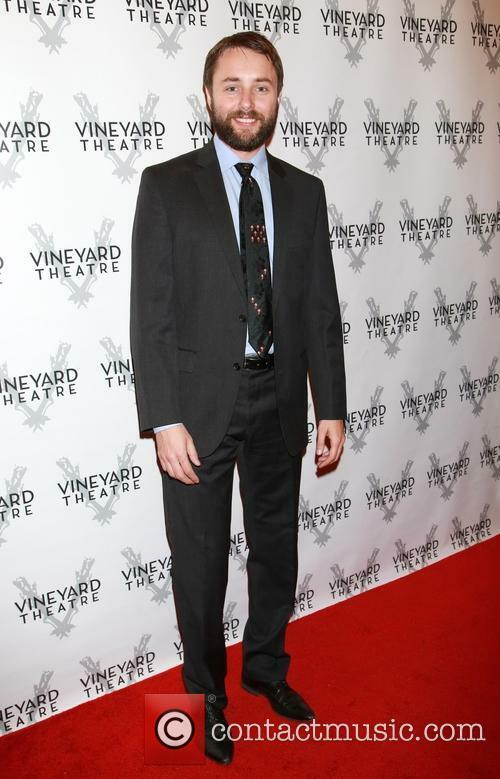 Mad Men’s on-screen lovers Vincent Kartheiser and Alexis Bledel may have had an ill-fated affair in the popular series, but off-screen, they are madly in love with each other and according to Us Weekly, the couple recently got engaged. 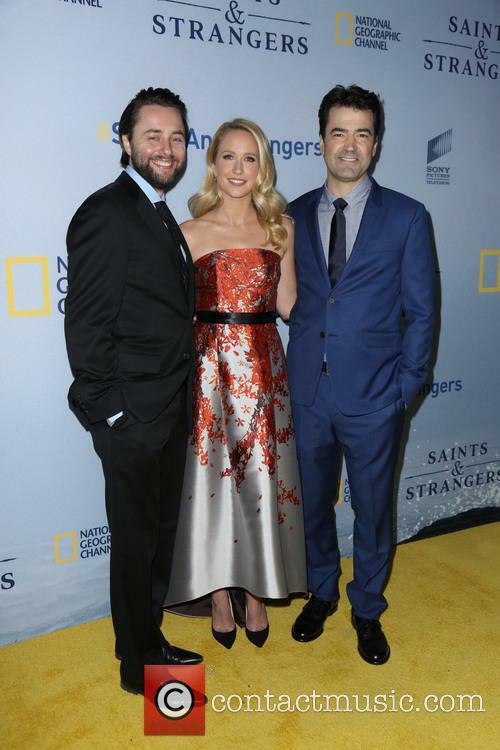 Alexis, 31 and Kartheiser, 33 started dating early last year and recent reports suggest that all is going swimmingly for the couple, as they prepare for life as husband and wife. “Vincent proposed a few weeks ago,” a friend told the magazine. “She’s been wearing her ring, it’s huge!” Another source had also confirmed “they couldn’t be happier. A third commented that they are “so cute together.” Bledel and Kartheiser are no strangers to the world of celebrity relationships, even if this will be the first trip down the aisle for both of them. Bledel previously dated her on-screen love interest in Gilmour Girls, Milo Ventimiglia, whilst Kartheiser used to date the actress Rachael Leigh Cook. We’re not sure how long the couple are planning on staying engaged before they officially tie the knot but Vince currently has two projects in post-production, one a drama called Red Knot and another entitled Beach Pillows. Meanwhile, Alexis has four productions on the go, Remember Sunday, Parts Per Billion, Friends & Family and The Letters. We’re pretty sure that between them they’ll manage to find a gap in their schedules to walk down the aisle. Arrivals at the Annie Leibovitz/Macallen event in New York included the portrait photographer herself (Annie) alongside 'Grey's Anatomy' star Kevin McKidd, former WWE wrestler Stacy Keibler, Gym Class Heroes rapper Travie McCoy, 'Mad Men' stars and offscreen couple Vincent Kartheiser and Alexis Bledel, TV and Off Broadway actress Alysia Reiner with her actor husband David Alan Basche and TV pastry chef Johnny Iuzzini. And I thought they already made Drugstore Cowboy. Derivative right down to the cast makeup and survival rate, this story of junkies who use, abuse, steal, and sell has been done over and over. Woods and Griffith keep it fresh, but Larry Clark's (Kids) vision feels surprisingly retreaded. Kirsten, hello? I understand you thought you were getting into a big production with James Caan, but this is ridiculous. Normally, a movie that takes place largely in a Vegas strip joint would a shoo-in for five stars. Unfortunately, the ludicrous tale told in Luckytown doesn't merit the time spent in its nudie joints.